In her new book, "How to Survive & Succeed in Life Without Being a B*!#&! or a Bully" author Medora addresses cyber-bullying and youth Suicides as news stories and studies show that cyber-bullying is a growing epidemic. Proof positive that simple truths are valid forever. A perfect read for any parents, grandparents, educators or clergy who wish to support balanced happiness in young people. Embracing the truth seldom comes without a bit of discomfort. But, in order to prevent bullying, it’s imperative to examine the causes and implement preventative measures – no matter how painful that examination and implementation may be for a reader. Readers are finding happiness and tools to improve relationships in an often angry, hostile and chaotic world in Medora’s latest book, "How to Survive and Succeed in Life Without Being a B*!#&! or a Bully" shows readers how to prevent the development of, identify, avoid and/or deal with a b*!#&! or bully anytime, anywhere without resorting to being one as cyber-bullying and youth suicides remain a high concern for parents, educators and clergy. Determine whether or not you yourself are a b*!#&! or bully. Take the quiz in Chapter 7. The author, Medora, is a relationship expert and public speaker who comes from a long line of successful, strong women (also named Medora). Fearless without creating fear in others, respectful without groveling, kind without being weak, the generations (over 162 years!) of Medora’s simple truths are a perfect recipe for success--and happiness. http://www.medoraonline.com, her blogsite, offers a steady stream of insight, observations, and even Medora’s famous relationship strengthening recipes! For a media copy of the book, respond to this e-mail and include a mailing address. 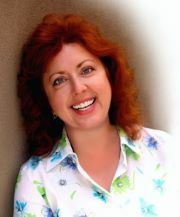 Medora is a relationship expert, author and public speaker who specializes in figuring out and sharing life's "simple truths." She doesn't make the rules - just reports the reality. Medora's life experiences, education and observations have collectively led her to realize that the most important lessons in life are simple and have been around for generations. The stories change, the names are different, but the basic truths remain the same. Full of passion, sass and Southern wisdom, Medora's mission and passion is to share the honest-to-goodness-truth that will help others navigate this often perplexing thing called "life". 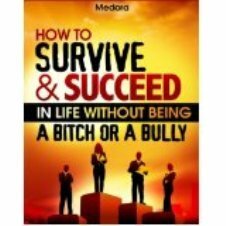 Medora's Simple Truth Series: How to Survive and Succeed in Life Without Being a B*!#&! or a Bully; Love: What It Is and How to Attract It; Overcoming the 3 Hurdles to Effective Leadership; Confessions of a Mean Parent: How to Raise Your Child Into a Responsible, Respectful, Contributing Adult; Christmas List Organizer; Special Occasions Organizer. A Texas based media and publishing business – offers the book in paperback, all four digital formats as well as audio through Barnes and Noble, Amazon, Sony, Apple and through Medora’s blogsite.